The penguins need help rearranging their word ice-floes* to make a sentence. Could your child help rearrange them? 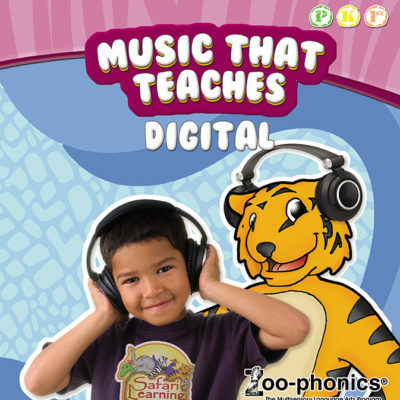 Zoophonia will remind the child to start with the sentence that starts with a capital letter. She will then read the word aloud. Starting with the word with the capital letter, click on this word ice-floe to temporarily remove it from the sentence. Zeke will read the word aloud. Slide the remaining ice-floes sideways to create a new gap. Click on the word ice-floe in front to send it back to start the sentence. It may take some rearranging before the sentence is correct. Remind your child: 1) A capital letter starts a sentence. 2) A punctuation mark ends the sentence. Zoophonia will read the completed sentence aloud. Remind your child to read along with her. INTERESTING WORD FACTS: *The word “ice-floes” refers to a block or sheet of ice that is unconnected and floats in the water. Isn’t it interesting? The word “floe” is like “flow” and means basically the same thing here. The word “floe” is a noun. The word “flow” is a verb. However, “flow” can also be a noun (“a flow of water”). We love words and their meanings! 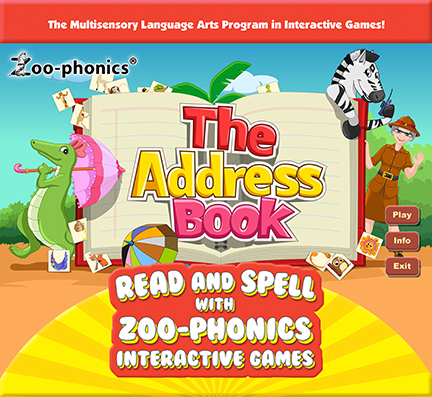 You can purchase and download the full Read & Spell with Zoo-phonics Interactive Games HERE!